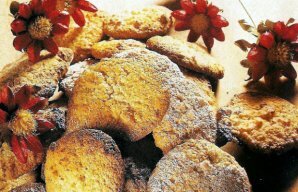 Goan and Portuguese cultures are strongly tied historically, this Goan coconut cookies recipe (receita de bolinhas de coco) shows the great fusion of both cuisines. In a saucepan over medium heat, make a sugar syrup by heating the sugar in 1/2 a cup of water. Add the semolina flour and shredded coconut to the sugar syrup and mix it well. Now add the butter and keep stirring it. Once it has been stirred well and it has a smooth and even consistency, turn off the heat. Now add the eggs into the mixture and mix well. Remove the seeds from the cardamom pods. Use a rolling pin to grind them into a powder and add to the mixture. Mix in the maida flour and baking powder as well. Knead the mixture into a dough until it is smooth and has an even consistency. Shape the dough into golf ball sized shapes. Flatten the balls with a knife and make three lines on both sides. Bake for about 20-25 minutes at 355 degrees Fahrenheit. 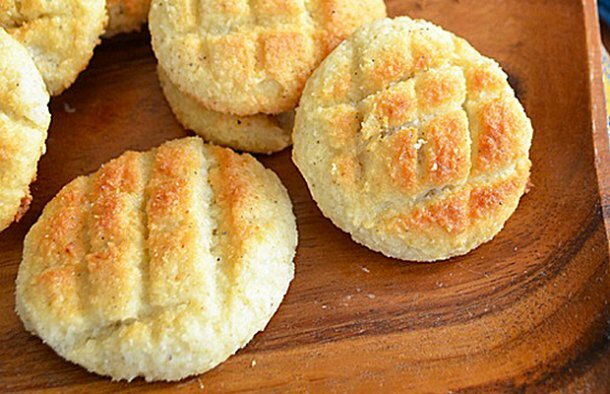 Cook until the tops of the cookies are browned. Once done remove from the oven and let them cool for 5-10 minutes. 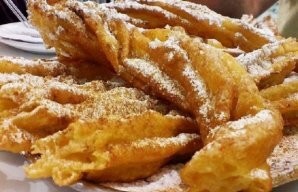 Farturas is a traditional Portuguese dessert that is a combination of funnel cake and churros and is very popular in Portugal. 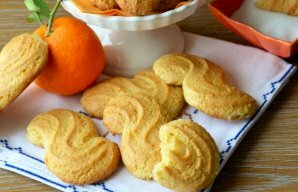 These delicious Portuguese orange biscuits (biscoitos de laranja) only take about 30 minutes to make and they taste amazing.